I'm not much of a skincare person as I find myself always repurchasing the same items over and over again. While I like my everyday gentle cleanser from the brand Simple, there are something about the ST. Ives Green Tea skincare products caught my attention. I ended up picking the gel cleanser as well as the scrub from my local pharmacy, Guardian. A quick note here, my skin is oily-combination. Sometimes I do have dry patches around my smile lines and my breakouts are occasional. I've tested out these for over the past 3 months. Read on to find out what I like and dislike about these products. This cleanser deep cleans to gently remove dirt and makeup to clear breakouts and calm redness. There is a warning on the bottle where ST. Ives suggested irritation and dryness would likely to happen when using the cleanser together with another topical acne medication. 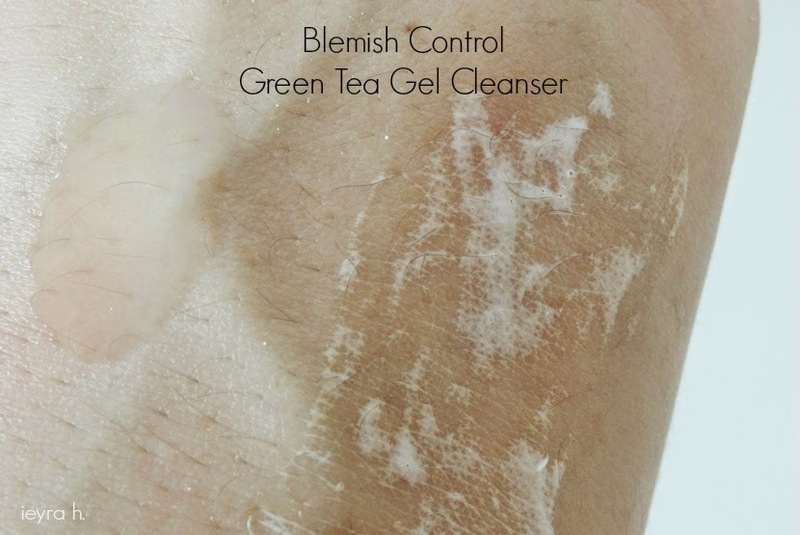 I immediately know that ST Ives Green Tea cleanser is quite strong and harsh for me because my skin would feel tight after washing so since I don't want to waste it, I alternate the product with a cleanser from another brand. Though ST Ives isn't my daily cleanser, I've noticed that I do reach for it a lot when I wear full face makeup. Surprisingly, I see less amount of makeup left over on my cotton pad when I follow up with my exfoliating toner so I'd say, it does help to remove makeup as it claimed. As for the main purpose of this product - blemish control, I don't think it did very much for clearing up acne, breakouts and redness. Last but not least, the scent, I really like it! It's so refreshing and calm. From America's #1 Scrub brand, this scrub with 100% Naturally Derived exfoliants and skin-soothing green tea gently fights blemishes and reduces redness & irritation caused by acne. The result is clear and calm skin. St. Ives is already known for their scrubs especially the apricot ones. However, I decided to choose the green tea scrub as it is a brand new item in the market here and I have been really liking the scent. The product comes in a white tube with flip open cap packaging. Just like the gel cleanser, the scrub also contained 1% of Salicylic Acid as an active ingredient though I don't think it does any help. It's recommended to use it one to three times daily but I find it unnecessary and ended up using twice or thrice a week. I feel it is a bit harsh and abrasive to use it frequently especially for my under eyes and cheeks areas. The scrub itself is green in colour and the silica used are very tiny but they really formed the texture of the scrub. Most of the time I only use a 10 cent coin amount of it and rubbing in with circular motions at my nose area. It really does work amazingly scrubbing off all my blackheads from my skin. The first time I used it, I remember being o___o and :0 while looking at the mirror simply because I couldn't believe how effective was it by just an application. The end result is very instant and visible. Therefore, I'd like to give this scrub a high score for effectiveness despite sometimes it gives me dry patches. Final verdict - I really like the scrub but not the cleanser. The scrub is amazing as it gives an instant result for diminishing blackheads, but I don't think I would buy the latter just because it really dries out my skin. I feel like the Green Tea products from ST. Ives can be a real hit or miss depending on a person. Both of these better suited, in my opinion for combination to oily and acne-prone skins. You can find them at local pharmacies such as Guardian and Watsons as well as hypermarket like Tesco. Price? I've really forgotten but I think the scrub was RM19.90 and the cleanser retailed at RM23. I have to try the scrub! It sounds perfect for me and my friend has bought it and also commented on how good it was. I love all your detail in your posts! I love St. Ives products! Nice review, very detailed! I use the St Ives Cleanser on a daily basis and really like it because it has helped me in my acne department whereas, It does make my skin very dry but I make do with a moisturizer. The scrub sounds ah-mazing, can't wait to get my hands on it. thanks for the review. 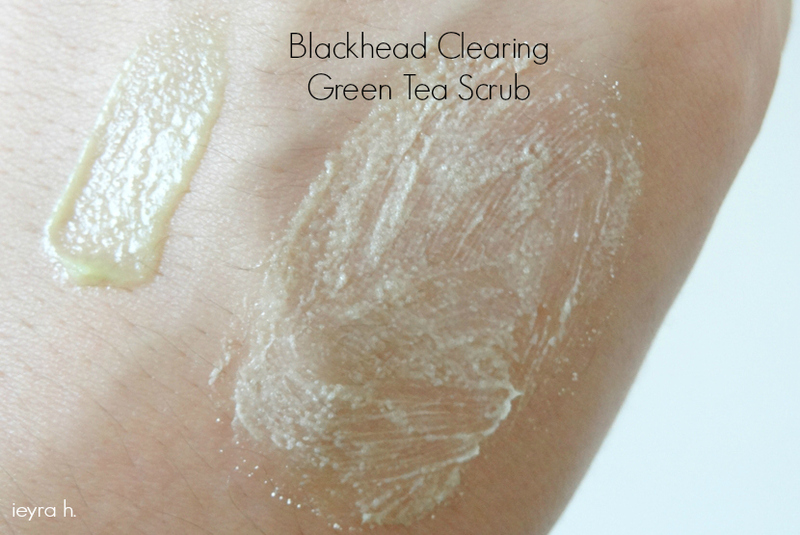 really need a product that can help me to remove my blackheads :D for the scrub, is your skin will dry just like you use the cleanser? My skin is very very oily and acne prone, and as you say this suits for combination to oily and acne prone skins. Would it be good if I buy this? Generally I wouldn't recommend both of them because they can be drying. Using that kind of face cleansers would only stripping away your natural oils, and just imagine if your face is too dry (even your skin is extremely oily to begin with), you will trick your skin into thinking it needs to produce more oil to stay hydrated. hello i have been searching for st ives green ta scrub everywhere at drugstor. may i know where you bought it?